We recently came across one of the original CorkSport EBCS prototypes which gave us a perfect opportunity to break it down and give you all an in-depth look. Read on as I go through what makes the CS EBCS tick, and more importantly how it gives you great boost control on your Mazdaspeed. Just as a refresher before we dive in, an electronic boost control solenoid (EBCS) allows for precise boost control by using an electric solenoid to help control the wastegate. A boost reference travels to the EBCS where it can either push on the wastegate diaphragm or vent to the turbo inlet pipe. Where the air travels is controlled by the solenoid. Obviously, the specifics change slightly depending on a number of factors with the turbocharger setup, but the concepts remain similar. Since the solenoid is electronic, it can be controlled within a tune. 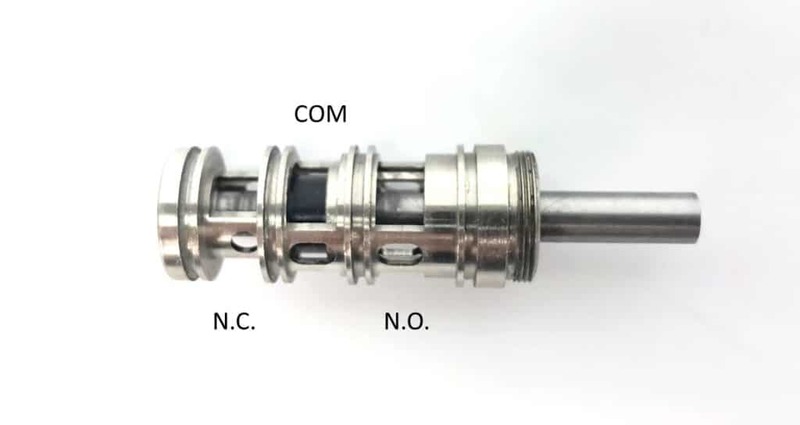 This means you are not wholly controlling your maximum boost with the spring in the wastegate and can hit boost targets larger than the “10psi” spring in your wastegate. For more information on boost control and the different EBCS setups, checkout Barett’s white paper on the subject. Now the above image is a little different from the way you are usually seeing the CS EBCS. Not only is it missing the sweet black anodized finish (early prototype remember? ), it needs some assembly before it can function properly. Below lists the components in the system and a short description of what they do. Obviously, we are missing a few key o-rings to keep everything nice and sealed, but all the important bits are there. Manifold: This is the air distribution block. Air/boost comes in one port and leaves through a different port. Where the air goes is determined by the bullet valve. Bullet Valve Assembly: More on this later, but essentially the center rod (piston) moves in and out while the black portion prevents air from reaching one of the manifold ports as needed. Tension Spring: Keeps the bullet valve in the correct position when the system is not energized. Coil Seat: Ensures the copper coil stays in place so the valve can operate properly. Coil/Windings: Creates a magnetic field when energized that moves center rod of bullet valve. Solenoid Body & Wiring: Contains the coil and other components. Also attaches the valve to the manifold. Each one of the “thirds” of the bullet valve corresponds to one port on the EBCS manifold. They are labeled accordingly above. As EBCS is energized, the piston of the valve is pulled by the magnetic field created by the windings. There is a small amount of movement; only about 12 thousandths of an inch (0.012”) to be exact, which is enough to allow air to either reach the wastegate diaphragm or pass by into the turbo inlet pipe. Again this is simplified as it does not touch on duty cycle-the valve is typically rapidly opening and closing (seriously, check out the white paper). The bullet valve is advanced technology that offers the utmost in fast responding fluid control. In addition, its profile offers the ability to make a pressure balanced valve and have a manifold that fits just about anywhere. All of this tech means you end up making boost faster, minimizing boost spikes, and keeping boost creep in check. If you want the best in boost control for your Mazdaspeed, be sure to pick up a CorkSport EBCS. 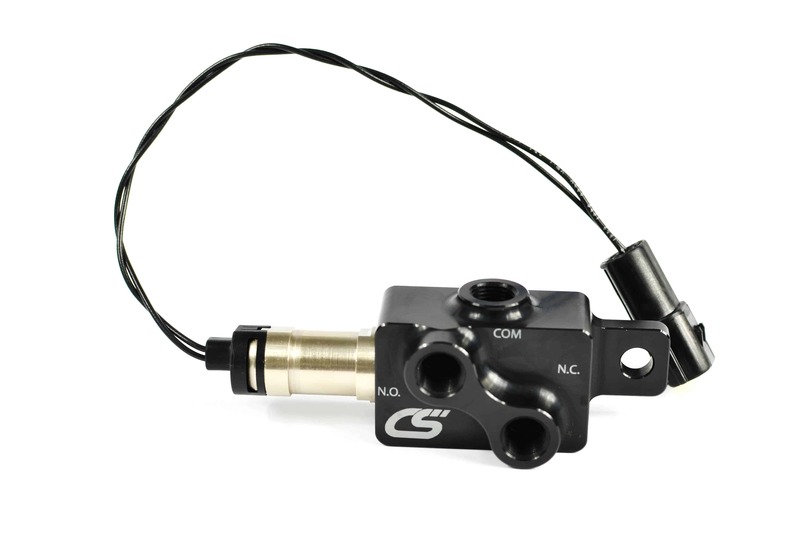 Giving you a closer look at the benefits and set up of the CorkSport Electronic Boost Control Solenoid. What is the benefit? How does it work? All of these and more are answered in this basic look at the CorkSport EBSC for the Mazdaspeed.